Tensions between the United States and other countries keep our military on the edge especially considering 7 objects were spotted on the screen and they are not other countries military aircraft. 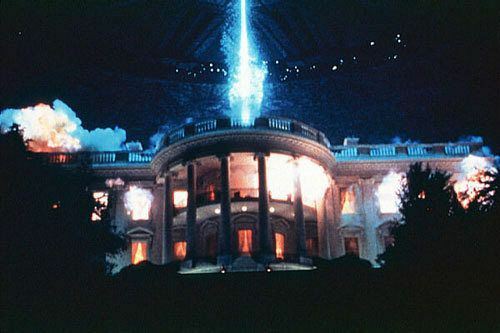 Not only did they appear but they hovered over the White House and our military jets scrambled to intercept these strange craft. But as all the jets close in, the seven craft individually disappear. Some reports were told that they were able to fire on these particular objects but they were able to fly faster than our aircraft. Days after the breach of our airspace, Major General John Sanford addressed the issue calling the event incredible. Ancient astronaut theorists believe they came to monitor key events in our history and they have been doing so for millenniums. If do, then the events of our nations political founding figures have been visited. 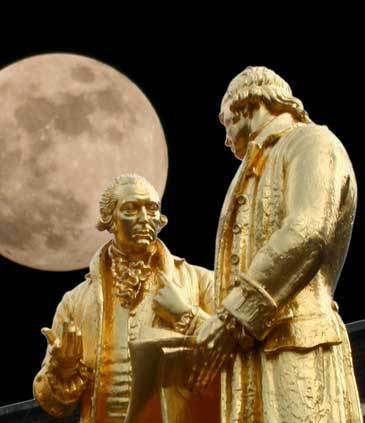 Every month on the first full moon, our scientists would meet, these men included our founding fathers of this country…Benjamin Franklin and Thomas Jefferson were part of all this. They would speculate life on other planets and on our country and how we should be different from any other country in the world. The year was 1776 on July 4th, in the midst of the American Revolution, the 13 colonies were formally severed ties with England. The founding fathers not only risk their heritage, fortune, but their honor in establishing the New World. This would later become known as the New World Order. These United States, with the help of England would soon be built on the architecture of the ancient Rome and Greece stature. Founding our country on the principals of the ancient world would knowingly be kept secret for hundreds of years. Calling this event“Fortuna” (goddess of fortune) or when the Gods conspire on your behalf. In Dante’s Inferno (vii.67-96) Virgil explains the nature of Fortune, both a devil and a ministring angel, subservient to God. After the war, on July 16th, 1790, construction of a National Capitol was to begin by the Potomac River, and the fact that our founding fathers have an obsession with classic Greco-Roman architecture is apparent in our capital. Seems there were active debates around the turn of the fourth-fifth B.C. century in regard to the question of extraterrestrial life in the universe. Democritus, Leucippus, Epicurus, and others all believed in extraterrestrial life and it came to be the cornerstone to ancient philosophy. Benjamin Franklin was a profound thinker and intellectual and his scientific view included life elsewhere. In his own publications, he marked his views on this subject in a matter of fact way. In 1728, he was quoted as saying, “I believe that man is not the most perfect being but one”…so there are many degrees of being superior to him. 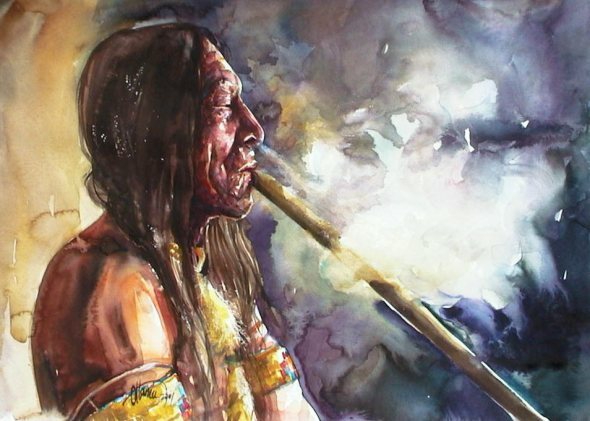 The ancient philosophers were not the only influence on the founding fathers growing openness of extraterrestrial life, the American Indians not only accepted these views, but believed they were descendants of these extraterrestrials. Benjamin Franklin was deeply interested in the beliefs of the American Indians and he developed treaties from the 1730’s – 1760’s for the various tribes and in these recorded the story from the Iroquoi Indians of a sky woman. Before Earth became what it is today, there were beings living in the sky. Their belief was that this sky woman became pregnant and had to come down to Earth and this is how the human race began. These accounts of our founding fathers were not only based on scientific and philosophical principals but on first hand experiences with extraterrestrials! One of Benjamin Franklin’s closest aids reveals a first hand account from Benjamin of a close encounter on a cold winter night at Valley Forge. But ultimately Washington’s will to remain at Valley Forge forced the British to retreat. What was Washington’s it that he experiences that sustained him in those dark hours? Some believe it was a strange vision he received in a moment of prayer. He went off in the forest to pray and he had a vision of a magnificent creature garbed in white. This creature, whatever it was, laid out for Washington what the future would be. He see’s a map and rain drops on this map and where the drops fall began to form cities in the future. How do we know this? An aid to General Washington lived to be over a 100 years old and told of this story to National Tribune newspaper which was published in December of 1880. Also ancient astronaut theorists have claim to evidence which proves that Washington may have unknowingly came into contact with extraterrestrial beings. Diaries he kept tell of numerous strange encounters with “green skins.” Washington sees a green glowing ball, and sees green figures. One theory views this as encounters with extraterrestrials. April 5th, 1800-the city of Baton Rouge, Louisiana at the home of astronomer William Dunbar reports to then Vice President, Thomas Jefferson a strange encounter of a craft in the sky the size of a house, two hundred yards above ground. Crashing not far away, destroying some of the area but not enough for the size of the object. Speculations of a meteor were not addressed for the behavior of this object. Thomas Jefferson presented this to the American Physiological Society and it was founded by Washington, so here we have some of the greatest thinkers in the Western society. It’s no coincidence these two believed in extraterrestrials. For Thomas Jefferson to report sightings of UFO’s still remains the highest public official to make a report in the United States history. 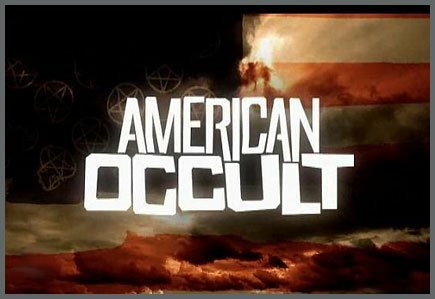 Could these incidents suggest that these individuals not only believed in extraterrestrials but also encountered them? Twenty year old, George Washington was initiated into a secret society, the Freemasons. Among his fellow members were many other founding fathers, such as Benjamin Franklin, John Hancock, Paul Revere. 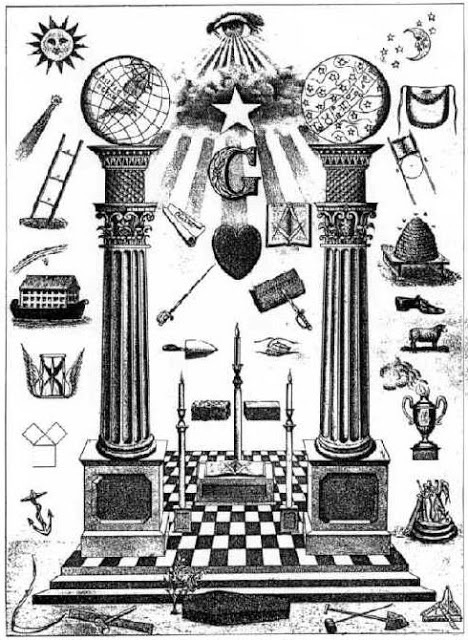 What is Freemasonry? What meanings lie behind their mysterious symbols? With the age of the renaissance period was a time when people decided to start studying ancient societies and see what knowledge was lost. 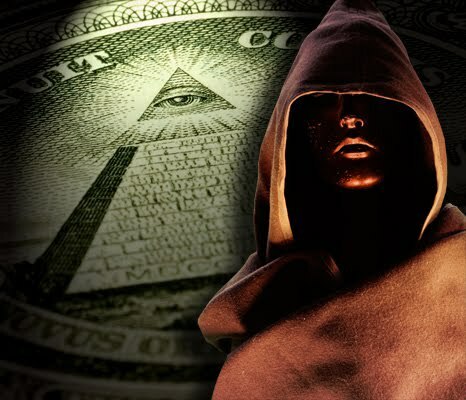 Freemasons not only derive their knowledge from science but also spiritual means and in the age of enlightenment this included the belief of extraterrestrial life. Freemason was a main vehicle which brought these principals of the enlightenment into the new world. Could these beliefs founded the origins of what came to be America? In terms of the Declaration of Independence, there were 56 signers, of those 9 were definitely Freemasons. Concerning the signers of the Constitution, there were 39 signers and 13 were Freemasons. There are definitely numerology stats here! 5+6=11/39=13X3 and then we have 13 as a single. So we have specific numbers that carried weight unto these individuals and as a group. Symbols of the Freemasonry are implanted into many aspects of not only our emblems but our country’s architecture. In the design of Washington, the designs are very important, the language of the symbols are very important. 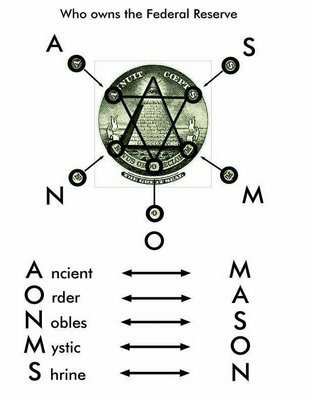 The symbol for Freemasonry is the compass and the square, and the meaning of the two represent the phrase, “As Above, So Below.” Now there are people who object to this definition, no doubt. According to the Freemason society the definition of each is the compass is the main tool of the individual, you are the point and the idea in Freemasonry is the individual is sovereign. You draw a circle using the compass around you, if you go beyond the perimeter, you steer into the knowledge and light. The square is considered a symbol of wisdom. The letter “G” stands for the Grand Architect of the Universe. Now how did the beliefs of plural world make its way into Freemasonry? 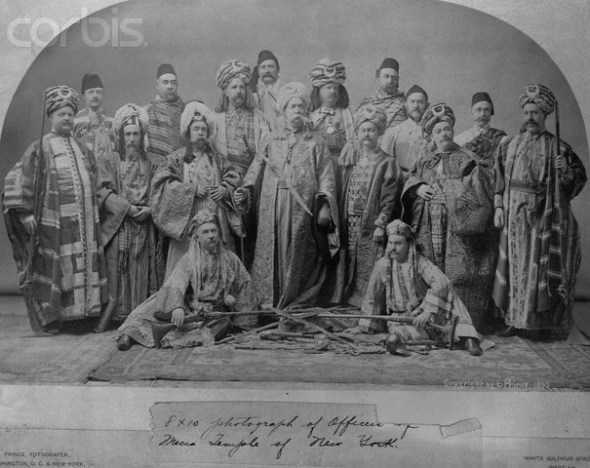 The same people who were involved in the beginning foundation of Freemasonry were also interested in Egypt. There were inspired by the idea of ancient wisdom. 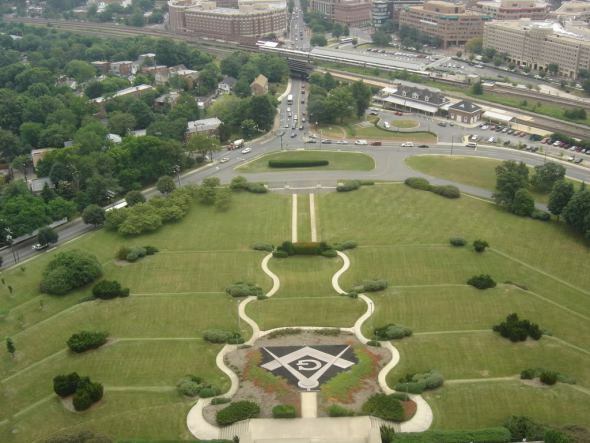 Some of the same symbols and architecture of Washington D.C. are also seen in Egypt…he Sphinx, the obelisk, the pyramid, and the all-seeing eye. If you were to pull out the dollar bill of the United States, you would see these symbols. The symbols reveal themselves to be paralleled with the ancient Egypt mysticism but the spiritual reasoning is the connection to the whole scenario. The 1866 lithograph of George Washington residing in the Library of Congress shows George as a Freemason but the unique revelation to this is the background. Over his right shoulder is an unusual scene which shows a ladder stretching out to the heaven, which is Jacob’s Ladder but atop this ladder seems to be a spaceship! In the Biblical story of Jacob in Genesis 28, Jacob witnesses angels ascending and descending from a ladder in the heavens. But in this lithograph, the ladder does not come from heaven but from what appears to be a dark round object, emitting multicolored lights. 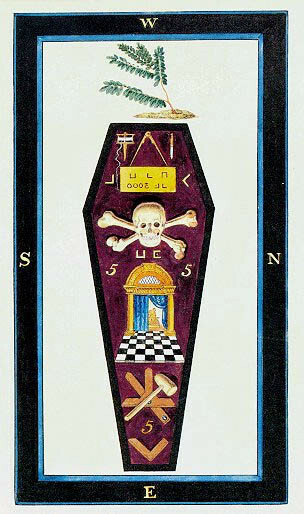 Although Jacob’s Ladder is a popular symbol in Freemasonry, is it possible this image is attempting to depict something else? Ancient astronaut theorists not only point to the symbols of Freemasonry but also to the very design and layout of Washington itself. In fact, even the very paths of Washington points to the stars. 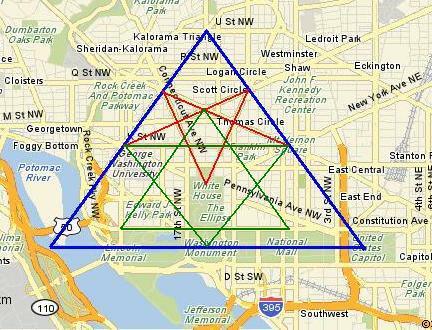 In 1791, in Alexandria, Virginia in a full Masonic ritual ceremony on the edge of the Potomac River. George Washington lays the first cornerstone marking the southern boundary of what will become the District of Columbia. 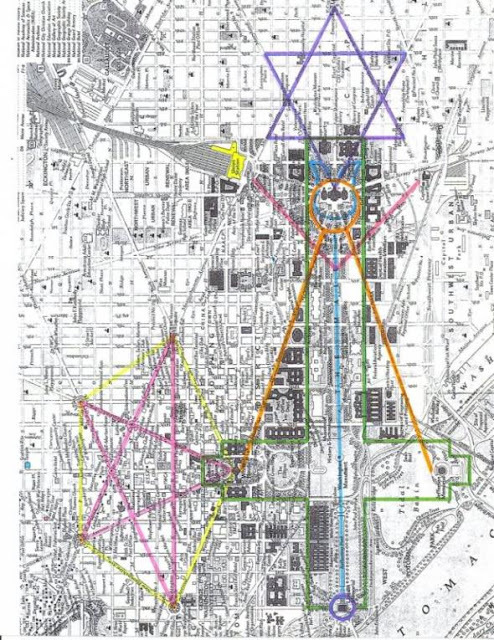 According to scholars, the nations capitol has been steeped in ancient mystic symbolism since its inception, and pointing to the Washington Monument as being a perfect example of just how mystic. The shape for one is an obelisk, and it points directly to the stars and then reflects into the river aside the monument which shadows its point downward, revealing the “As Above, So Below” technique in architecture. Although construction of this began in 1848, nearly 50 years after George Washington’s death, the Freemason’s built this Egyptian pyramid-style monument so that the Pleiades Constellation would be visible directly over the monument. Egyptians used these stars in their monuments and hieroglyphics, in fact their whole religion is based upon this Orion/Sirius constellation. What is it the founding fathers wanted you to see? There is a direct relation between what is happening here and what’s happening in the heavens and the Freemasons acknowledge this. But it’s not just the monument but the very layout of the whole city which harkens back to the ancient cities of Rome, Greece and Egypt. 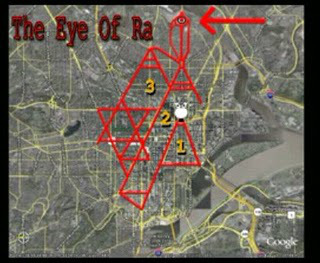 Washington D.C. was designed from the very beginning to be a very spiritual place, but from what playing field does this reside on? 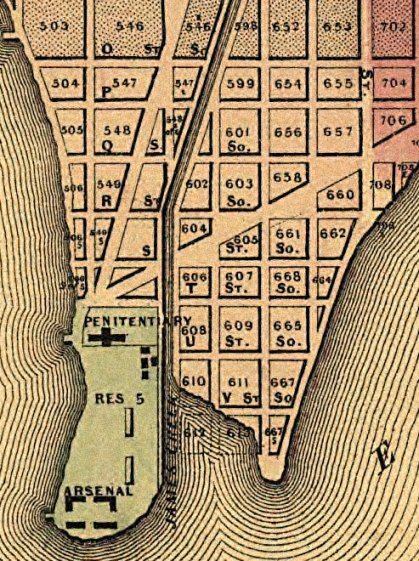 Another Freemason, Pierre (Peter) Charles L’Enfant was selected by George Washington to design the layout of the 10 miles diamond of what was to be the very streets and avenues of Washington District of Columbia. 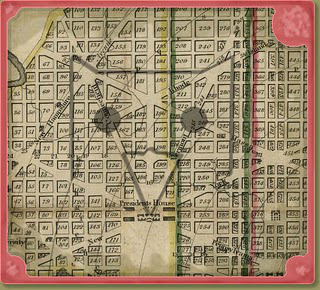 He first began with aligning the corners of the square with the four cardinal directions of North, South, East, and West. The geometric shapes were to emphasis that this new form of government was not going to rely on religion but on reason and scientific discovery. In the very center was to be a star/pentagram, and from this star would descend into streets which would extend outward. But the idea of the design was to be a mirror of the heavens, and eventually it would be not only the capitol of America but the capitol of the universe. Both George Washington and Thomas Jefferson were both expert surveyors and map makers, and had hands on experience on how this all came to be. On the placement and inside of the capitol building itself are perfect examples of this. In 1791, on the Jenkin’s Hill, L’Enfant declared to be a pedestal awaiting its monument. For the next tow years he and George Washington and Thomas Jefferson work tirelessly in order to accomplish the destiny of what was to become our United States Congress building. 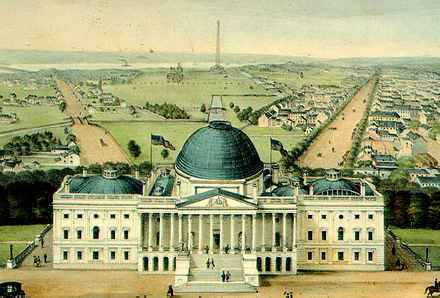 On September 18th, 1793, the day of the autumn equinox, Washington lays the cornerstone and Jenkin‘s Hill officially becomes Capitol Hill, the heart of the new democracy. And this is not the only hill! We have High Hills and Bunker Hill in Boston(“City Upon A Hill”), Monticello where Thomas Jefferson resided, Capitol Hill, among others. And of course we have Vatican Hill and last but certainly NOT least is Calvary Hill. The founding fathers clearly understood concept of the ancient and sacred hill! 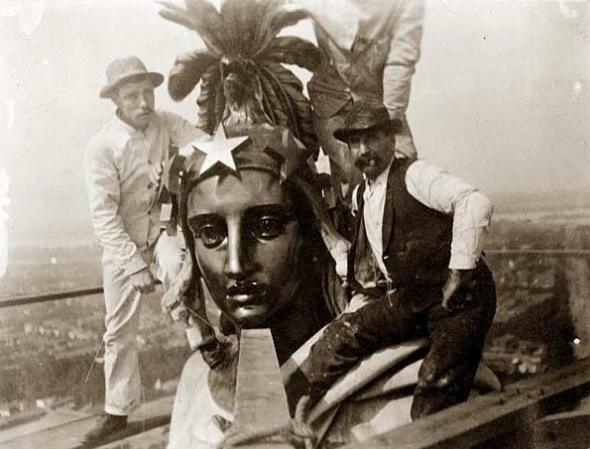 Sitting atop the Capitol Building since 1866, this statue called the “Freedom Statue”. A 19.5 statue of a goddess morphing into an eagle. Ancient astronaut theorists tell of the extraterrestrials gods being eagle-headed. So freedom is being referenced here as a star-being! Persephone was sculpted in Rome and installed atop the Capitol on the 47th anniversary of the death of America’s first Roman Catholic Bishop, John Carroll. The event was heralded by 47 gunshots, thirty-five from a field battery on Capitol Hill, twelve from the surrounding forts. Roman Catholicism is a universal secular government domiciled at the Vatican City State in Rome. Its sovereign, the Pope, is an absolute ruler who is deemed infallible. In the political context, the Roman Catholic Church has been determined by the United States District courts to be a foreign State (U.S. Court of Appeals for the Third Circuit, Case No. 85-1309). Inside the dome, directly in line with the Freedom Statue, is an empty tomb (now he’s a supposed heavenly deity) that was designed to hole the remains of George Washington. One floor above it is the crypt, then the Capitol rotunda. Then soaring 180 feet above that is a painting of George Washington looking like what seems to be a god. 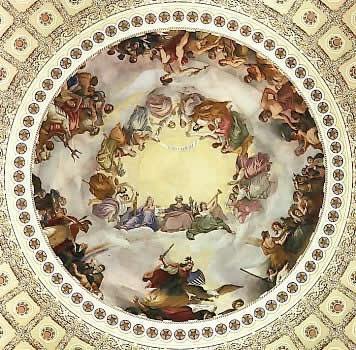 This is the Apotheosis of Washington is an immense fresco painted by Constantino Brumidi in 1865 and visible through the oculus (EYE) of the dome (Gateway of the Sun). 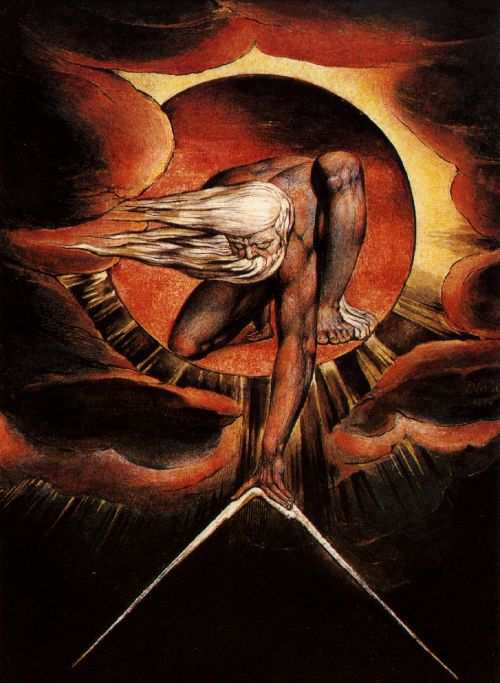 Apotheosis in Greek means to deify, as in deify a man to a god-man. Depicted in a setting of clouds and 13 angelic type figures with a rainbow below his feet. The dome is considered to be a vortex, a portal or gateway to the stars. 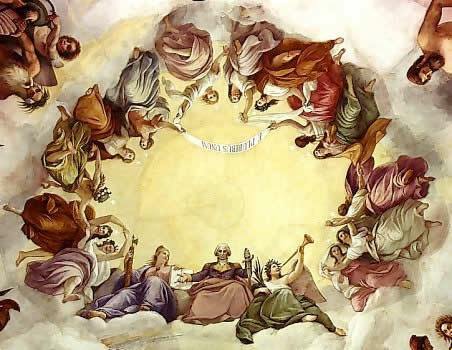 Surrounding Washington are seven mythological figures that correspond to the seven stages of alchemy. Included is Poseidon, the ruler of Atlantis and Mercury and Vulcan, two gods synonymous with alchemy. An imaginary vertical line descending from the Sun gate in the dome travels through a golden dot at the center of the Rotunda, then through a star in a large circular room called the Crypt one story beneath the Rotunda. 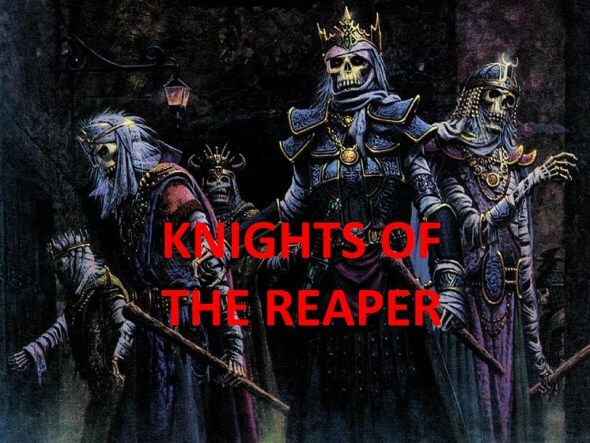 The Latin crypta means “hidden” or “secret.” A crypt is usually found in cemeteries and under public religious buildings, such as churches and cathedrals. It’s a burial place, but also, importantly, a meeting place. The star in the crypt marks the literal ground zero in Washington. It divides the city into four quadrants, and every address in the city tells you where you are in relation to that precise point in the U.S. Capitol building. This is just another open (yet hidden) hint as to the significance of that particular gold dot. The circle or ‘gate’ of 72 stars that surrounds Washington affirms this philosophy. 72 is a powerful esoteric number with numerous correspondences in the Mysteries. 72 represents the number of years on one degree of a zodiacal age. 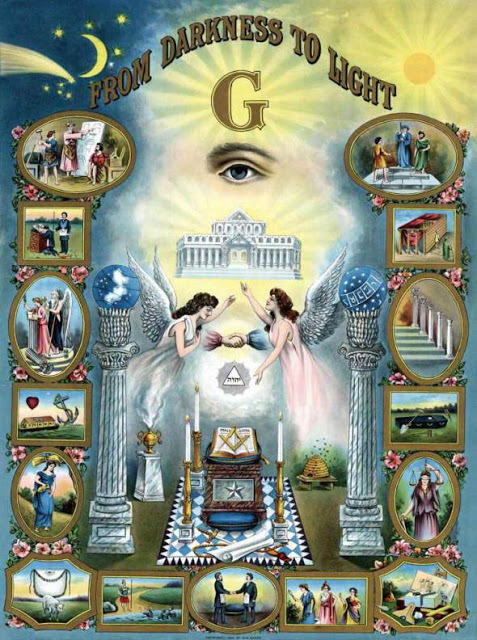 Manly P. Hall’s “The Secret Destiny of America” has an interesting interpretation of the 72 stones in pyramid of the Great Seal. He sees them corresponding to the 72 arrangements of the Tetragrammaton, or the four-lettered name of God, in Hebrew. These four letters can be combined into 72 combinations, resulting in what is called the Shemhamforesh, which represents, in turn, the laws, powers, and energies of Nature by which the perfection of man is achieved. The work of French Egypt-alchemy explorer Schwaller de Lubicz, presented in his work,“The Temple In Man: Sacred Architecture and the Perfect Man”, leads a to major breakthrough in our understanding of the Capitol-is-a-casket story. De Lubicz’s work centered on the Temple of Luxor, located 2 miles from Thebes, Egypt’s Vatican. 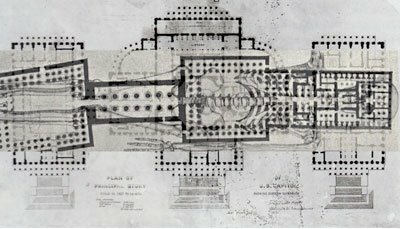 The plan for this temple, he demonstrated, is based on human proportions and designed to symbolically represent the human body. It is an open book containing the secrets of human spiritual anatomy. In this temple he found a human being embodied in the geometry of the Temple’s architecture. This, he concluded is Pharaoh, symbolic of the Perfect Man. During this festival the king would make a ceremonial precession from Karnak along the avenue of Sphinxs to the temple of Luxor, located 2 miles away. The king would make his way to one of the innermost chambers of the temple. There, the king and his divine essence (called the ka, and created at his birth), were united and the king transformed into a divine being. The crowd, waiting anxiously, their belly’s full of bread and beer provided by the king for the rite, would cheer wildly upon the king’s emergence as the transformed or transfigured god-man. The Festival affirmed and renewed the king’s Divine Right to Rule. It assured the people that the power of the Cosmos was renewed in the king. Projecting the image of the Temple of Luxor on the U.S. Capitol, which is divided into seven chambers that correspond with the charkas, reveals a provocative match. The House of Representatives corresponds with the feet. The Rotunda is the womb. The Senate is the head. It is ironic that that U.S. Capitol mimics the sacred layout of Luxor temple considering that America was founded to abolish the Divine Right of Kings. Nonetheless, the spectacle of the Opet Festival is echoed in the inauguration ceremonies of U.S. Presidents as head of state or head of government. This term means that the President is above party politics. In this lavish American ceremony, initiation or rite, politicians stand at the gate of the Secret Chamber, the Capitol Rotunda, in front of hundreds of thousands of spectators (and millions more watching on TV) to take the oath of office and to renew the office of the President. It is strikingly similar to coronations and enthronements. The crucial difference is that the people elected the individual being sworn in to be their head (or ‘present Id’ to use a Freudian term for the instinctual aspect of our psychic apparatus). Originally, the word inauguration referred to the sacred marriage, the symbolic mating of the new king with the goddess of the kingdom. Scholars point to the Irish Feast of Tara, at which the king married the goddess Medb. In America the goddess is named Freedom, Liberty and America. Her statues are abundant on the Hill and in the Capitol. She stands on top of the Capitol. Why? It could be because, symbolically, she ‘owns’ it. Traditionally, the swearing in takes place on the East Portico. For the first time ever, an inauguration took place on the West Terrace of the Capitol when Ronald Reagan took office in 1981. The west side would accommodate more visitors. Reagan’s second inaugural ceremony in January, 1985 took place in the Rotunda due to weather. President Barack Obama also chose the West Terrace. After being sworn in at noon, the newly anointed President enters the Capitol Temple. He ascends 33 steps into the Rotunda. He looks up. He first sees Mercury, then, he sees the deified Washington peering down at him, challenging him to be an enlightened American leader. A massive sculpture of George Washington by Horatio Greenough commissioned on February 22, 1732. It depicts Washington as Zeus Olympus of Atlantis which sat upon a hill. The statue seated and besandled Washington gazes sternly ahead. He is bare-chested and with his right arm and hand gesture with up-raised index finger toward heaven. 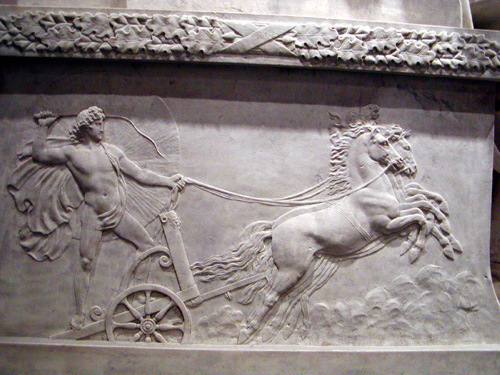 A conductor of heaven and earth with a representation on the side with Apollo guiding a Sun/Star chariot riding through the heavens. Not only is the belief of our founding fathers idea of a plurality of world throughout the universe but today we consider the same of our presidents because this knowledge was pasted down through the centuries.